Rasha graduated from the University of Detroit Mercy in 2013 with a Bachelors of Science and certificate in Dental Hygiene. She has been in the profession for 4 years and joined Canton Park Dental in 2017. 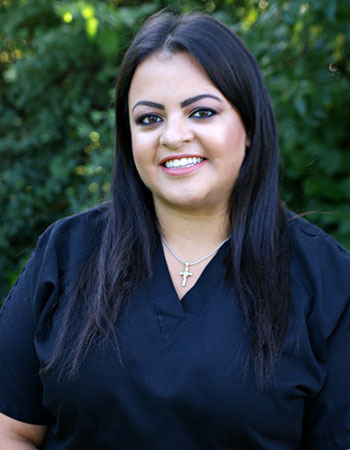 Rasha has loved every moment of working in the dentistry field. She loves seeing her patients happy and comfortable; she also enjoys building a lasting relationship with her patients. Rasha stays current in her field by attending seminars and continuing education courses. When she is not taking care of her patients, she is spending time with her husband, family and friends. She also enjoys shopping and vacationing. She looks forward to meeting you and to provide you with your desired healthy smile.